[Update] Bethesda confirmed today when the Fallout 76 B.E.T.A will begin. Xbox One players will be able to access it from October 23rd, while PlayStation 4 and PC players only from October 30th. The B.E.T.A is also not going to be always available. [Original Story] Yesterday, Sony surprised players all over the world by finally opening up to cross-platform play with other consoles. The first game supporting it will be Fortnite, but it’s already been confirmed that other third-party titles will be able to do the same in the future. Sadly, it seems like Fallout 76 won’t be among them. 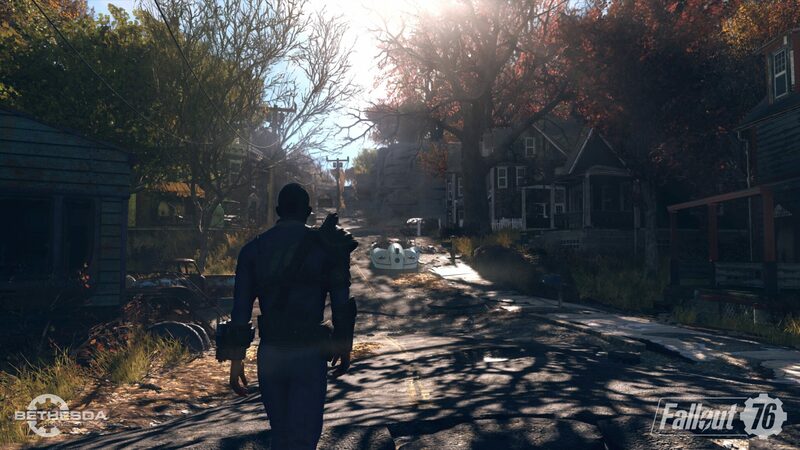 Following yesterday’s Sony announcement, Bethesda’s Pete Hines commented on Twitter about the possible cross-platform play support for Fallout 76. Unfortunately, it’s not on Bethesda’s radar at the moment, as the team is focused on the game’s soon to begin beta and launch. He also added that he has no idea if cross-platform play is ever going to be supported. Plenty of Fallout 76 information has surfaced online recently. Earlier this week, Pete Hines talked more about workshops, CAMPs, stashing crates and more. Last week, we also learned the name of the Fallout 76 map and some additional details on trading and sleeping. Soon enough, all those who pre-ordered the game will be able to take part in the game’s beta. Back in August, it’s been confirmed that the beta will include the full game and that progress will carry over to the final release. Fallout 76 launches on November 14th on PC, PlayStation 4 and Xbox One. We will keep you updated on the game as soon as more come in on it, so stay tuned for all the latest news.